Does Flipping Your Mattress Make a Difference? For many years, mattress flipping has been an expected part of seasonal cleaning and something you should to do if you want your mattress to last. Why is flipping important to the health and longevity of your mattress and how often should you do it? Flipping and rotating a mattress ensures that the pressure is spread evenly over the mattress and helps to prevent sagging or excessive wear in one or two spots. If you don’t flip your mattress, you risk the bed sagging where you lay, which will eventually begin to cause discomfort, back pain, and even poor-quality sleep. Does Flipping Really Make a Difference? Some people believe that flipping a mattress really doesn’t do all that much. Quite the contrary – when you flip a mattress regularly, you prevent the same spot carrying all your weight for years on end. Flipping your mattress allows you to lay on the bottom part of the mattress while the top springs and foam recover. Each time you flip your bed, you are laying on materials that have had time to return to their original shape. This keeps a mattress from wearing out too quickly. Not only does flipping keep your mattress in better shape, it helps to keep you in better shape. Sagging, worn out mattresses can cause your back and neck to become misaligned, causing you to toss and turn or wake up in pain. In some severe cases, a mattress that sags too much can exacerbate the symptoms of sleep apnea. Keeping your mattress flipped can help you ensure you’re getting the most out of your bed. Do All Mattresses Need to Be Flipped? When pillow-top mattresses came onto the market, the idea of flipping was questioned. How could you flip a mattress that had a base support layer and a top comfort layer? 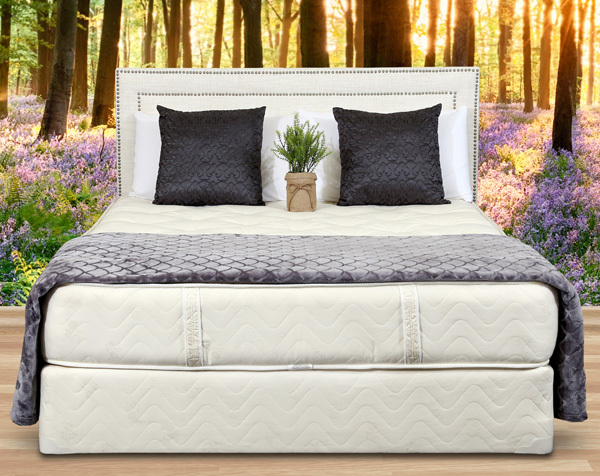 Rather than the classic symmetrical design, pillow-top mattresses have a thin layer of upholstery on the bottom, a supportive interior of springs, and a cushy top layer of foam and other soft materials. Pillow-top mattresses generally can’t be flipped like you would flip a traditional bed, but you can and should rotate them. Ultimately, when you buy a new mattress, you should choose the design that feels the most comfortable to you. Take some time to try out both types of mattresses – traditional and pillow-top – and ask questions about when you should flip and rotate your mattress. Generally speaking, you’ll want to do it every six months. At Gardner Mattress, we are dedicated to helping people get a better night’s sleep. Flipping and rotating your mattress regularly is a big part of ensuring that you not only sleep well, but that your mattress lasts as long as possible. Contact us today at 1-800-564-2736 for more information. Previous article	What Does the Tufting Process Involve?